Coordination: alcohol can impair hand-eye coordination, making it difficult to drive safely. Reaction time: alcohol slows brain function and in turn a person’s reflexes. Vision: alcohol can slow eye muscle function, alter eye movement, and alter visual perception, possibly resulting in blurred vision. Night vision and color perception also can be impaired. In 2015, the total number of fatalities related to drunk driving in Alabama was 247, which was 29 percent of the total number of traffic deaths, according to madd.org. These numbers are tragic and unacceptable, given the reason behind the fatalities. Responsibility.org reports that, like in Alabama, the percentage of vehicular fatalities in the U.S. in 2015 that were caused by drunk drivers was around 29 percent. That is 35,092 people. That’s 35,092 lives lost – fiancés, daughters, fathers, mothers, sons, etc. While the number of fatalities from drunk driving has steadily decreased since 1982 (when record keeping on the matter began), these accidents still happen, and they still result in deaths or often catastrophic and costly injuries of loved ones young and old. Defensive driving: Do not drive while extremely tired, always wear a seat belt, keep your eyes on the road, and do not ever text and drive. You may sometimes have a false sense of your own awareness. You may recall times when you’ve begun daydreaming while driving. Often times, it takes a concentrated effort to actually pay attention to everything that you’re doing. Avoidance: According to Consumer Affairs, the most alcohol-induced car accidents occur between 2 a.m. and 3 a.m. This is perhaps because bars’ last calls occur during this time. Additionally, around 7 p.m. is statistically linked to more drunk driving accidents. Why? Because many bars or restaurants halt serving happy hour drink specials during that time. Designating a driver: Are you drinking responsibly? There is nothing wrong with that; however, many people feel like they are okay to drive when they really aren’t. Be sure to designate a driver or call an Uber or taxi if you have any doubt. If you have been involved in a car accident in which a drunk driver wrongfully injured you, or a loved one was wrongfully killed in a drunk driving incident, please contact us today. 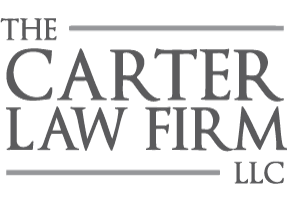 The Carter Law Firm, LLC in Fultondale, Alabama has over 30 years of experience. We proudly serve Fultondale and the surrounding North Jefferson County communities. You have rights. Let us fight for them.